UPDATED: Mon., Aug. 20, 2018, 10:56 a.m.
Add another Groves to the Eastern Washington men’s basketball program. 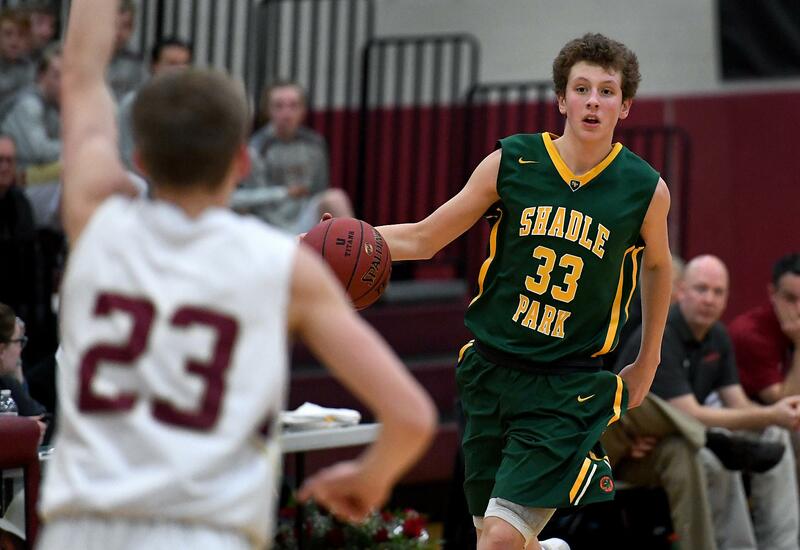 Shadle Park sharpshooter Jacob Groves announced his verbal commitment to EWU on Sunday, where he’ll join his 6-foot-9 redshirt freshman brother, Tanner Groves. “Proud to announce I have verbally committed to play college basketball for @CoachLegans at EWU! Go Eags! “the Shadle Park senior posted to Twitter. Jacob Groves, a 6-foot-6 wing, averaged 14 points in Greater Spokane League play last season. He scored a season-high 26 points and hit six 3-pointers in a 53-51 edging of Idaho 3A power Kellogg. Groves is EWU coach Shantay Legans’ third commitment in his 2019 recruiting class, joining Australian guard Tyler Robertson, who played on the country’s FIBA U18 team this summer, and 6-foot-8 Seattle High star Abdul Mohamed. Published: Aug. 20, 2018, 10:55 a.m. Updated: Aug. 20, 2018, 10:56 a.m.